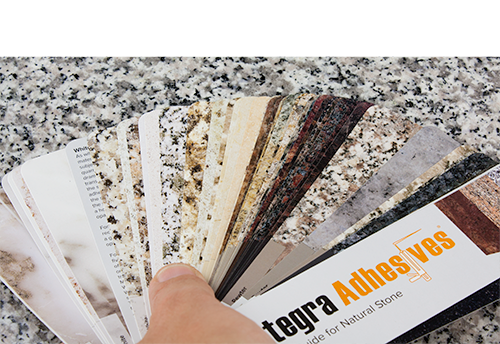 The Stone Swatch Deck is a new tool designed to make color matching natural stone a breeze. 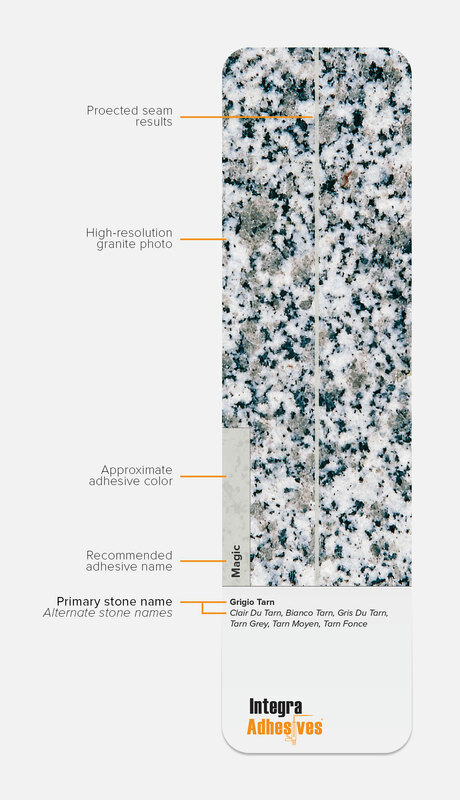 We’ve put together 58 high-resolution images of some of the most popular stones on the market into the Stone Swatch Deck to make color matching a breeze. 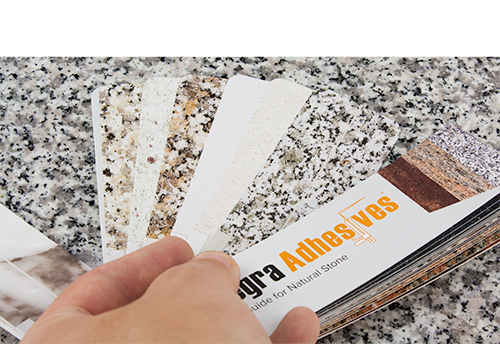 Even if the exact stone you’re working with isn’t in the deck, chances are you’ll find similar materials within the deck to reference for your job. 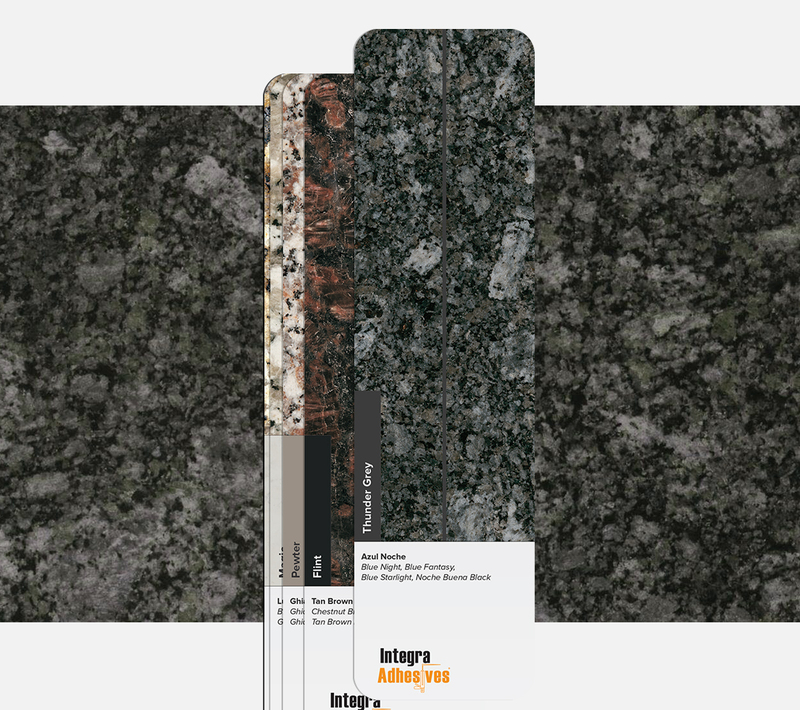 Flip through the swatch deck until you find the color tones you’re looking for. 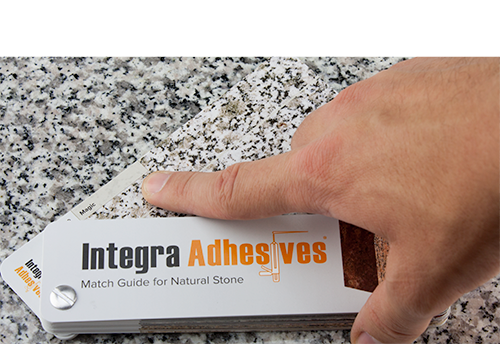 Once you find an image with a color/pattern similar to what you need, reference the recommended adhesive match amongst the 15 adhesive colors that are part of the Integra Natural Stone collection. 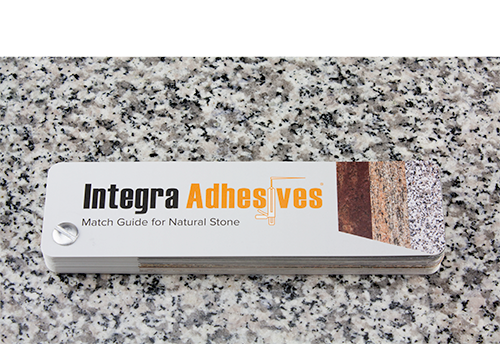 Included on each page are alternate stone names, and your best choice for an adhesive match.